As a new member of EPCAR we were asked to participate in their "Spring Fling." There were many great vendors there along with quite a few Realtors. A great time was had by all. Beautiful event at Venue 650, food was delicious. I would highly recommend this place for an event. This is an example of hidden mold. SERVPRO of Winter Haven received a call stating that the homeowner's hot water tank was leaking. We responded within an hour. We turned off the water, removed the tank and started extracting the water. 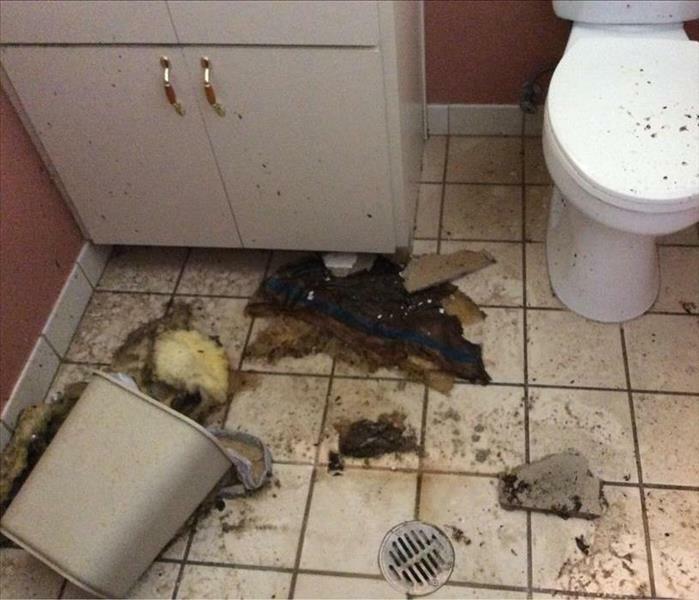 Once the standing water was removed we noticed a suspicious growth located within the water closet. Upon further testing it was discovered that the growth was in fact mold. We here at SERVPRO of Winter Haven re-mediated the mold according to all IICRC standards. The home owner's were quite happy as we had everything put back together prior to their New Year's Eve party. Another quality "Like it never even happened." service from SERVPRO of Winter Haven. There are many different types of mold, knowing what type you are dealing with can answer many questions and help you decide if a professional re-mediator is right for you. SERVPRO of Winter Haven is a Florida State licensed Certified Building Contractor, Mold Re-mediator, and Mold Assessor. We are IICRC (Institute of Inspection Cleaning and Restoration Certification) certified in Fire/Water/Mold clean-up & restoration. We do everything from testing, to re-mediating and to putting everything back to the way it was. Mold is nothing to play with, if disturbed the spores can spread. Do not hesitate to ask us some questions. 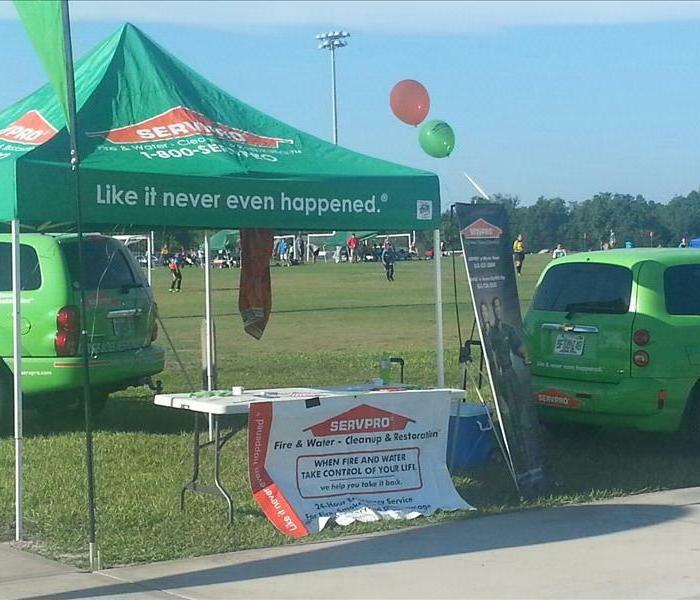 SERVPRO of Winter Haven makes it "Like it never even happened." Give us a call to find out more about the services we offer. 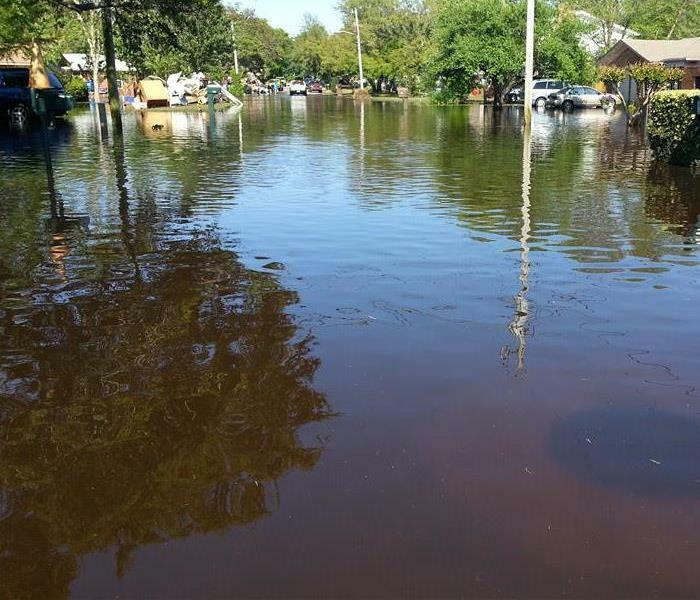 This was the aftermath of a flood in Winter Haven. There was significant damage to the floors. Thankfully with our in place drying we were able to save all of the furnishings. The owner couldn't believe how quickly and completely we were able to extract the water and place the required equipment in place. Unfortunately mold re-mediation needed to be done and all of the flooring needed to be replaced. We were however make her disaster "Like it never even happened." The owner came into work to find two inches of water in her locally owned insurance company. As she had processed several of our claims in the past she immediately called SERVPRO of Winter Haven. Upon our arrival we extracted all of the standing water and placed the necessary drying equipment. Fortunately we were able to save the furnishings, but sadly the flooring all had to be torn up and then replaced. The customer was quite satisfied with our job and rated our crew all 10's. SERVPRO of Winter Haven got a call for a vent fire. We responded to find this. We were able to clean the entire wall and ceiling area with our "green" cleaning solutions and techniques. The homeowner was quite pleased with the way the cleaning techniques worked. Sadly we had to remove the kitchen cabinetry due to fire damage. We were able to completely remove the soot and the smoke odors from the home. This is an example of hidden mold. SERVPRO of Winter Haven received a call stating that the homeowner's hot water tank was leaking. We responded within an hour. We turned off the water, removed the tank and started extracting the water. 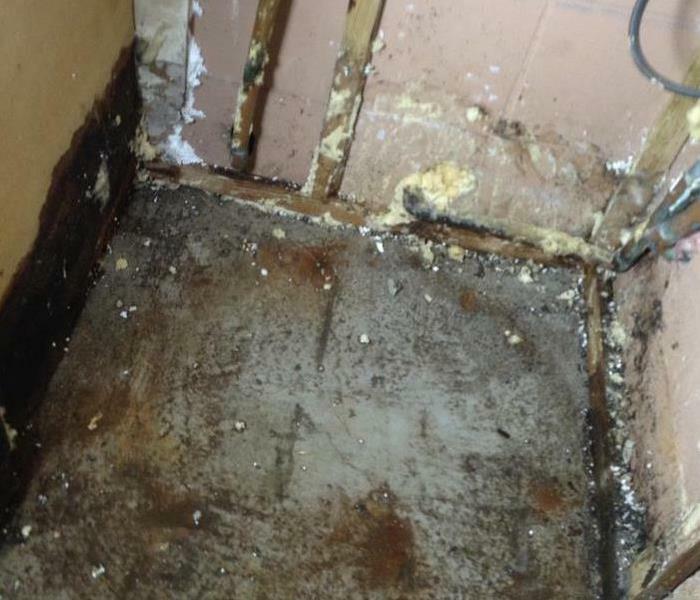 Once the standing water was removed we noticed a suspicious growth located within the water closet. Upon further testing it was discovered that the growth was in fact mold. We here at SERVPRO of Winter Haven remediated the mold according to all IICRC standards. The home owner's were quite happy as we had everything put back together prior to their New Year's Eve party. SERVPRO of Winter Haven was dispatched to the state of Georgia for Hurricane disaster relief. Our crew helped several homeowners mitigate their water damage. Please note the discoloration on the wall and carpet where the water had seeped into both the drywall and carpeting. We were able to do in-place drying and relieve the customers of some of their stress. Note the darker areas on the paneled walls. This is all water damage due to a hurricane. SERVPRO of Winter Haven was called in. 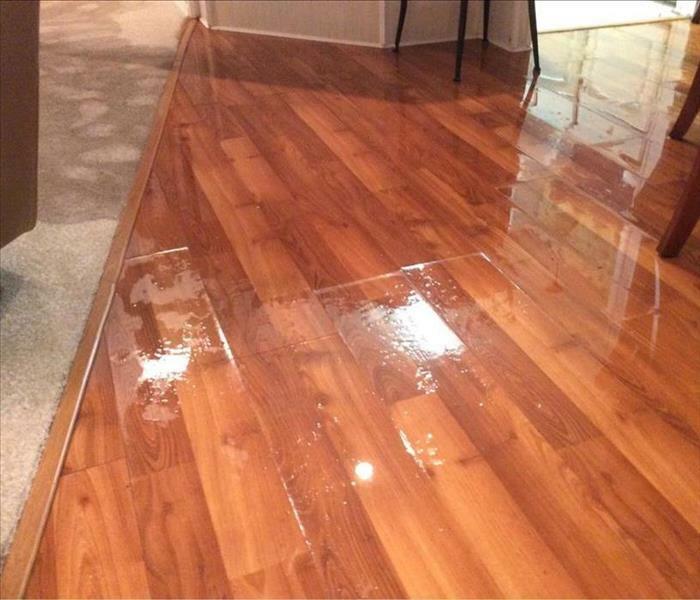 Fortunately for the homeowner we were able to in-place drying and mitigate the water damage. 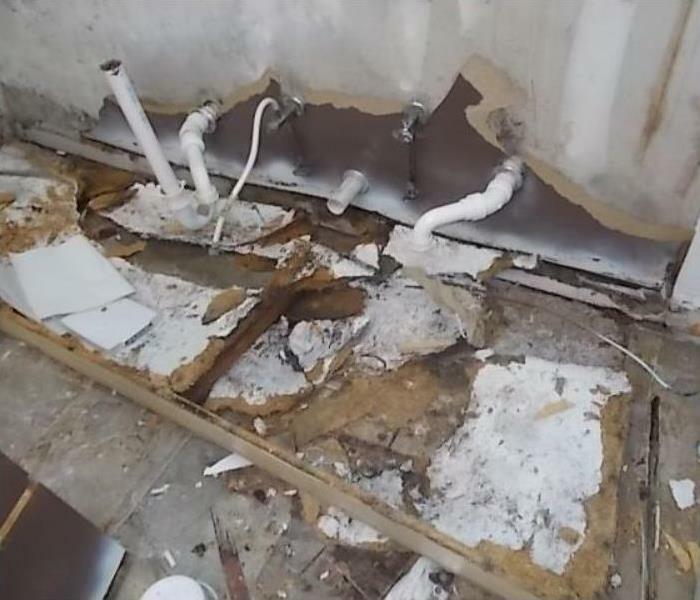 Due to a water pipe bursting in the ceiling there was a significant amount of damage to not only the ceiling but the walls, flooring and furnishings. SERVPRO of Winter Haven was called and the work began. Our crew tore out the damaged parts of the ceilings, removed the furnishings and completed the drying process. Our reconstruction crew came in and repaired the entire affected area of the building. Within two weeks the entire process was completed. Another satisfied customer of SERVPRO of Winter Haven. "Like it never even happened." This was the aftermath of a kitchen fire in Winter Haven when we arrived on the scene. There was significant fire, smoke and soot damage. The restaurant had been closed for two days creating a major loss in revenue for the owner. Our crew was able to get the job cleaned up within 2 days. The owner of the restaurant was so happy that he offered the entire crew a free meal. SERVPRO of Winter Haven once again made it "Like it never even happened." 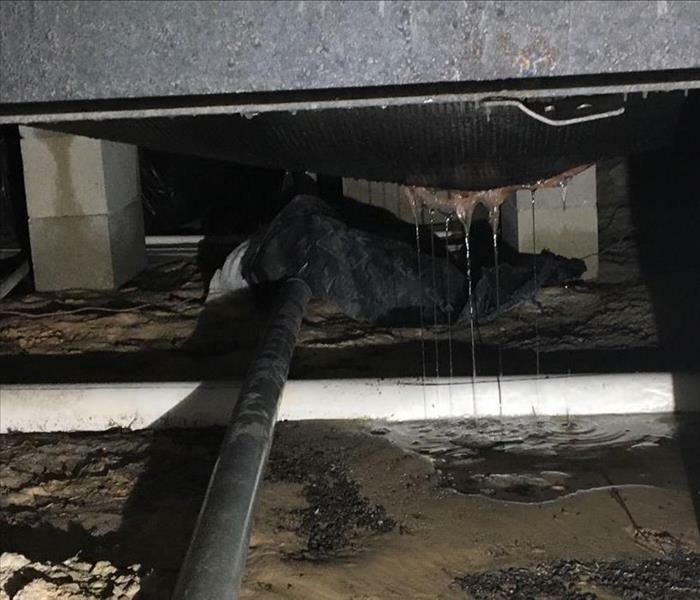 Due to a major water line break within the building, several thousands of gallons of water did major damage within the resort. 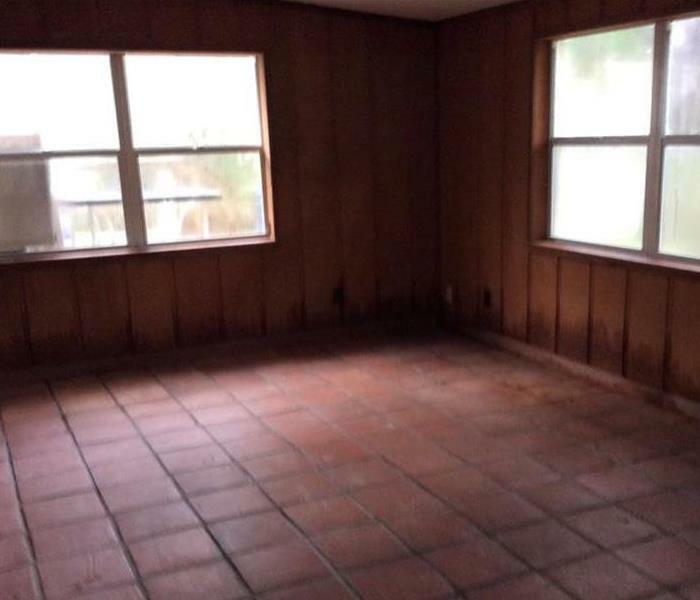 The owner contacted us at SERVPRO of Winter Haven to help in any way that we could. Our team of professionals went in and extracted all of the standing water, removed the affected areas of the building along with the flooring. We were able to completely dry out the building to everyone's satisfaction. Notice the discoloration on the carpeting. The darker colors are where the water has seeped through the walls onto the carpeting. The entire home was affected by this. We were able to remove just the kick plates in the kitchen and do in place drying throughout the entire home and attached garage. Here is an example of a bio-hazard caused by a hoarding issue. Our team came in and entirely cleaned the house and disposed of all bio-hazard materials with our disposal company. SERVPRO of Winter Haven is licensed by the Florida State Department of Health to clean up and dispose of all bio-hazard materials. You'll notice that there was extensive drying needed in this kitchen after a water leak. 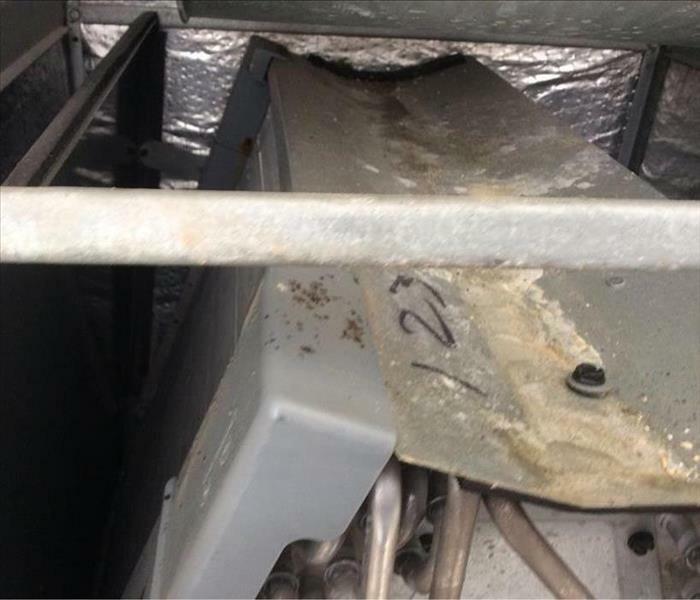 The kick plates have to be removed under all cabinetry to insure that the "in place" drying system that SERVPRO of Winter Haven uses dries the water damage properly. In place drying is a much less stressful way to dry for the home owner as it's more cost effective and less time consuming. This is an example of an air duct system that needed to be cleaned. Please be aware that not doing proper maintenance on your air handling system can cause a lot of health issues for people and even their pets. It's recommended that your systems be cleaned once a year for proper maintenance and the health of you and your pets. SERVPRO of Winter Haven has the properly trained staff and the right equipment to take care of your air duct cleanings. This was the aftermath of a kitchen fire in Winter Haven, FL. There was significant smoke and soot damage throughout the entire home. The home owners were extremely happy at how quickly our crew arrived and performed the work. They couldn't be any happier with the end result. They said that SERVPRO of Winter Haven created an experience "Like it never even happened." 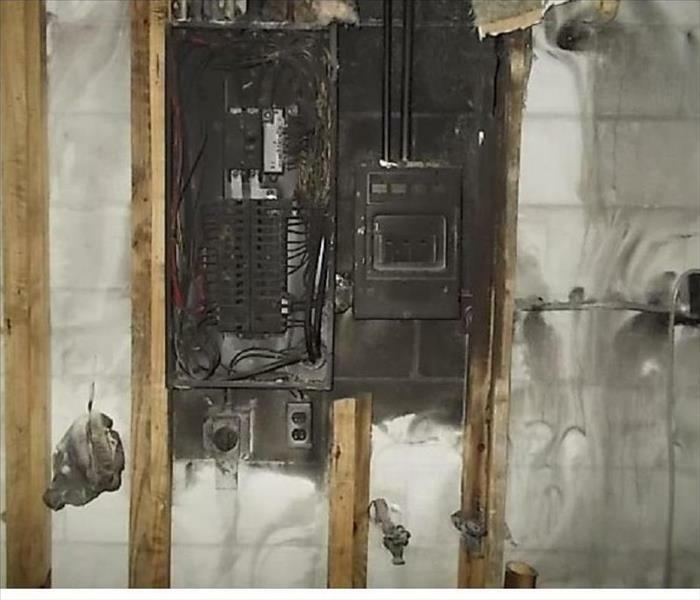 This is a fire damage to a ceiling in Orlando, FL caused by a microwave. Notice the soot concentrated at the corner of the photo. Just under it was the source of the fire. 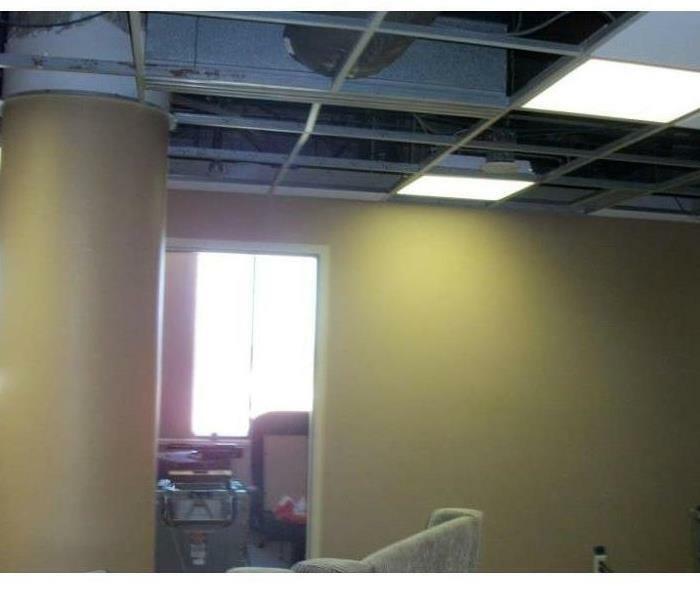 This is a photo of ceiling damage caused by a Storm in Alabama. Notice the ceiling tiles have a dark discoloration on them. This is caused by water coming in contact with the material. 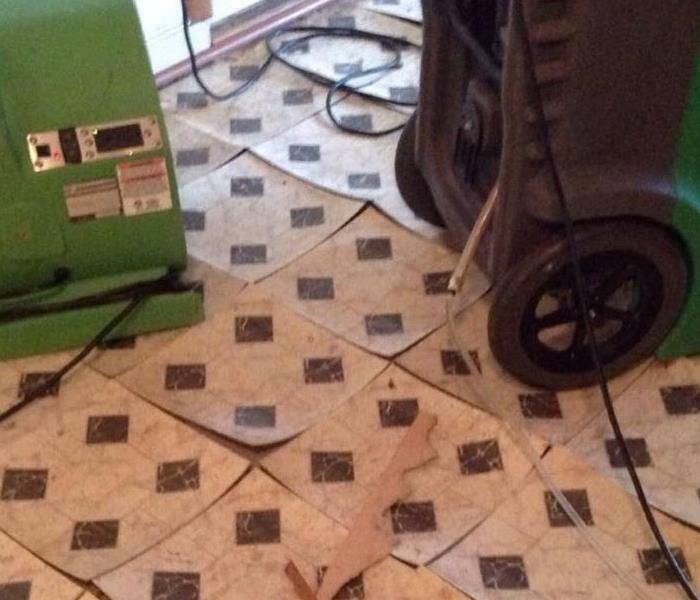 This was a water damage inside of a home in Alabama. This was caused by a storm that damaged the roof. Notice water got on the opposite side of the ceiling causing damage to the popcorn ceiling side. This is a photo of mold in an AC unit in Winter Haven, FL. Notice the spots on the on the casing for the coils. This was cleaned by SERVPRO. The customer was satisfied with our work. 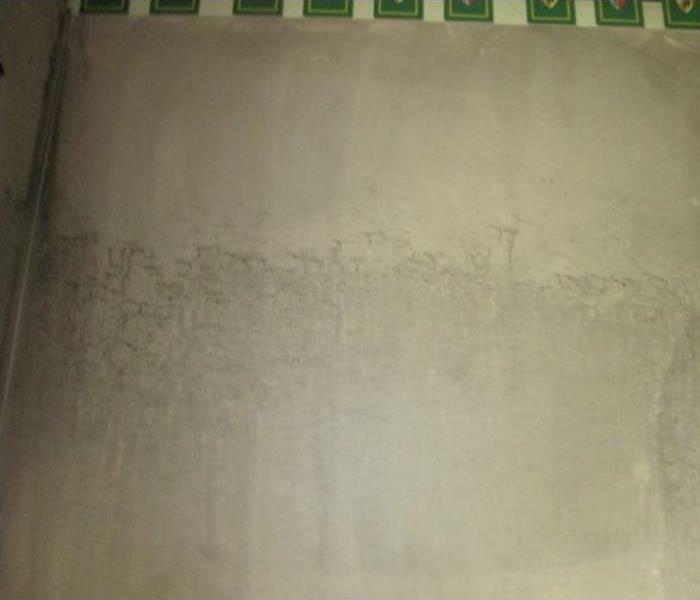 This is a photo of a mold damage in Lake Alfred, FL. SERVPRO was called out to remediate the mold on the ceiling. The customer was extremely satisfied with our services. This is a wall that was damaged during a fire. SERVPRO was called in to clean and paint it. All the soot was removed and it is now ready for paint. 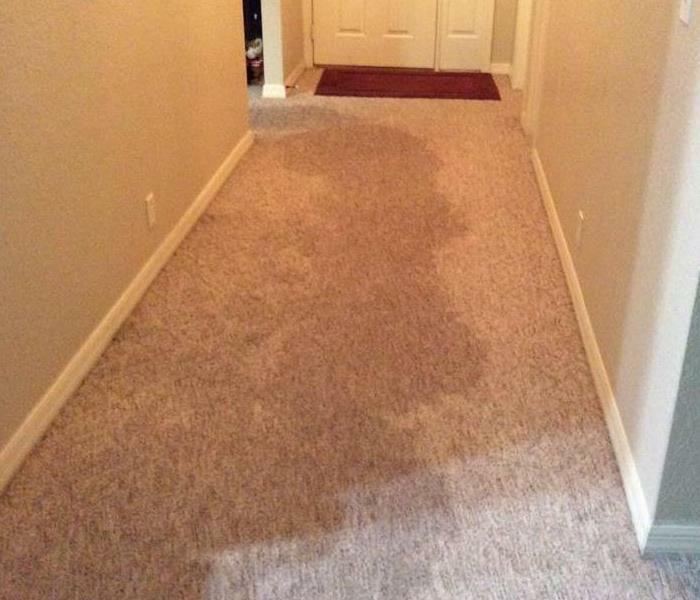 This is a photo of a Water Damage in Lake Alfred, FL. 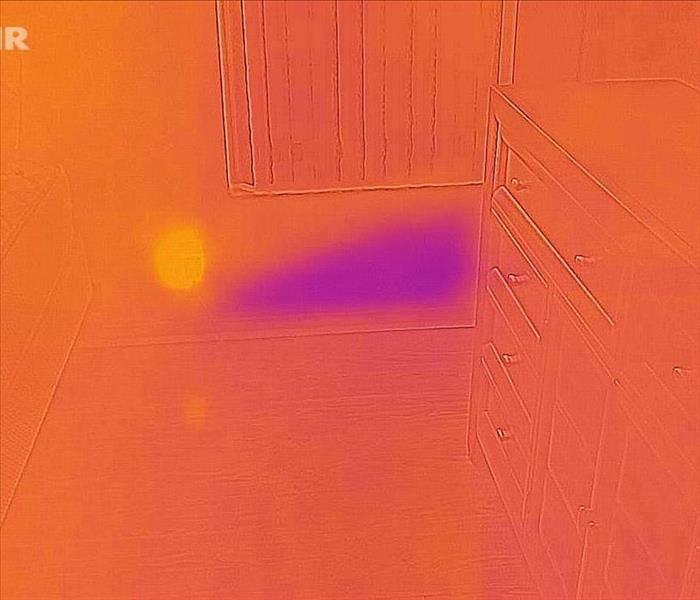 SERVPRO uses thermal imaging to help identify possible wet areas. This is then verified with a moisture meter. 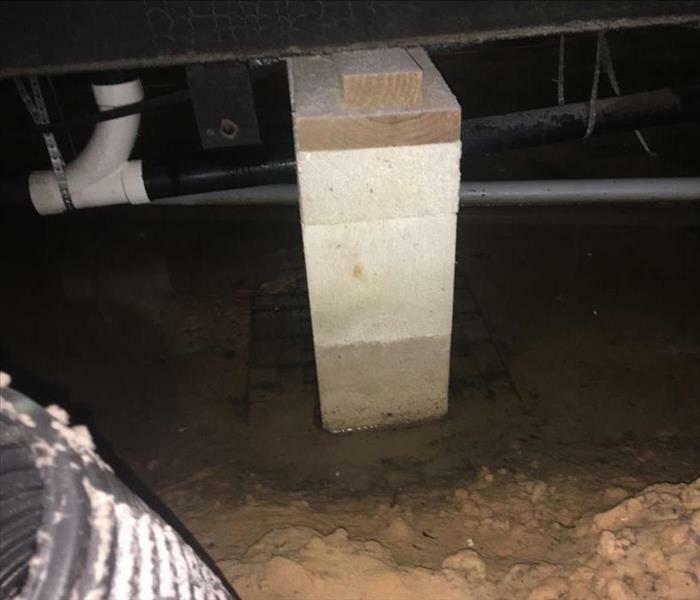 This is a photo of a crawl space that was affected by water in Lake Alfred, FL. The source was a toilet supply line that sprung a leak. SERVPRO was onsite with in 90 minutes. This is a photo of the source of a commercial water damage in Lake Hamilton, FL. The pipe had busted spraying water into an office affecting the carpet. SERVPRO was called to dry it up. 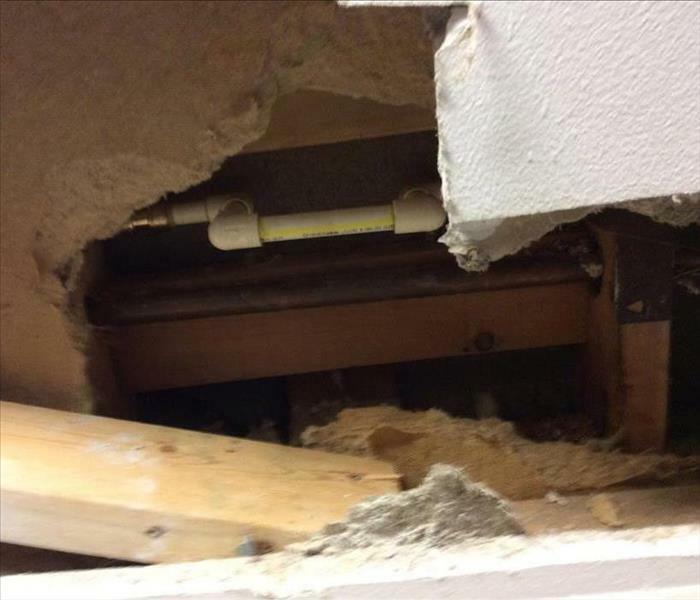 This is a photo of a commercial bathroom that had a leak in the ceiling caused by a hot water heater. SERVPRO was called in to dry and clean it up. The customer was very pleased with our services. This is a crawl space underneath a mobile home. The leak was caused by a hot water heater inside. It may not look like a lot of water on the inside but underneath, the belly paper was soaked and sagging. This was a water damage to a home here in central Florida. Notice the amount of water on the floor. Imagine coming home from a long day of work or waking up at 2:00 in the morning noticing this. That’s why SERVPRO is a 24-hour emergency service company. This device being used is called a moisture meter. When showing red it is indicating that there is moisture in the material. This is done throughout the job to verify materials are drying. 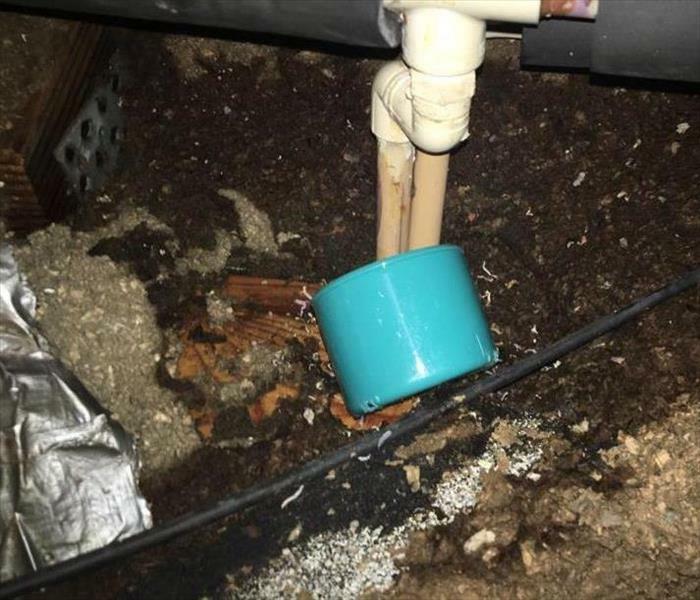 This is a photo of a water leak in an attic. As you can see the water damaged the material underneath the pipe. SERVPRO was there to help, once attic was cleaned and dried the customer was very pleased. This is a photo of flood waters in Florida. Always have a plan of action. If notified to evacuate, please listen. During a Hurricane a rescue crew will not go out until the storm is over. 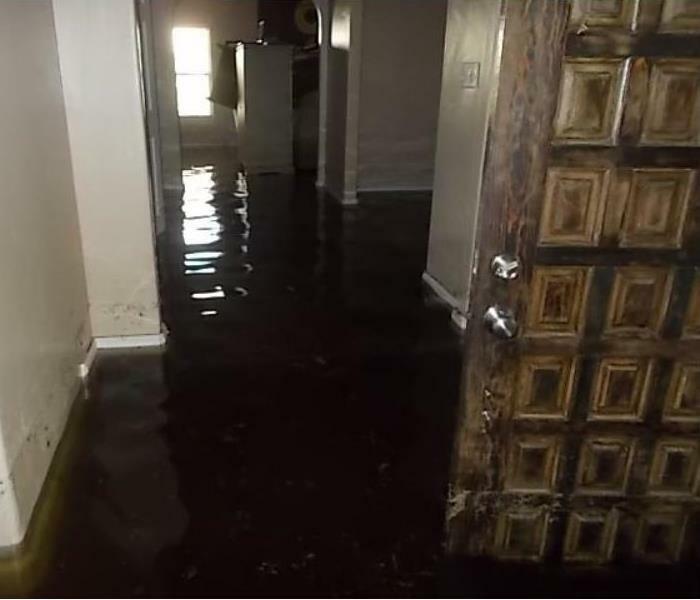 This is a photo of flood waters in a home caused by a storm in Florida. As you can see the water receded from where it originally got up to. This was the aftermath of Hurricane Sandy in New Jersey. After the drywall was removed you can still see how high the water went in the home. Always be prepared for Hurricanes. 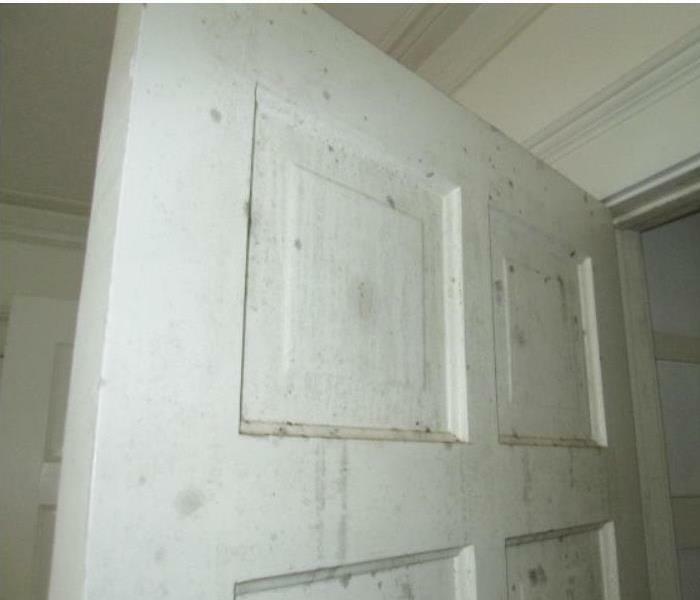 This is a photo of Mold damage to a closet door. The humidity level inside the closet was extremely high and the temperature was just right for the spores to cultivate. This caused mold spots to grow on the door and different areas of the closet. This is a mold damage in an attic of an office. This was caused by an AC leak. It was noticed when spots started appearing on the other side of the drywall. This is a photo of mold damage that was caused by a water leak. It was first noticed just underneath the sink, but further investigation found it to be on the wall behind the kitchen cabinets and on the back of the cabinets. This is a photo of an air handler that leaked in a closet. In the photo you can see the mold growth between the wall and the unit. The mold was removed and the home owner was vary pleased with our services. 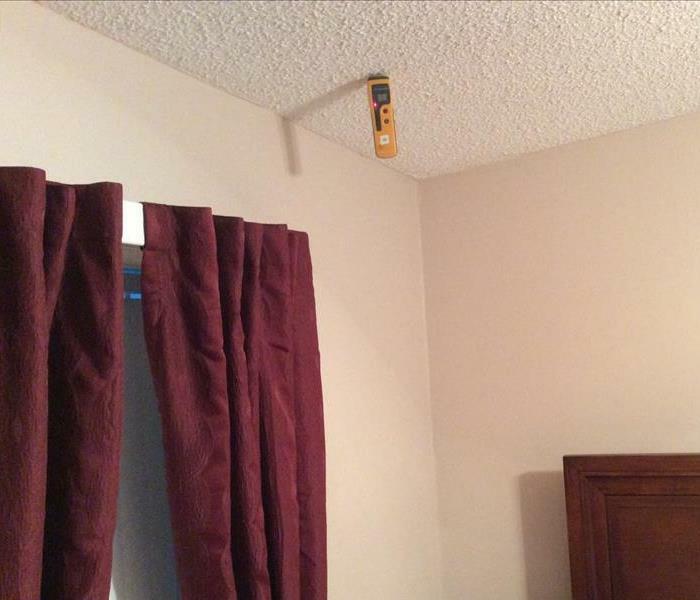 This is a photo of a hotel room that had a water damage that went unnoticed. As you can see at the bottom of the wall there is visible mold that was growing behind the baseboards. The drywall was removed and replaced. The customer was pleased with our services. This is a photo of mold damage inside an office building. You can see the mold spot clearly on the wall the drywall was removed and replaced. The Customer was pleased to know that the mold damage was gone. This is a photo of a home that was damaged by hurricane Harvey in Houston TX. 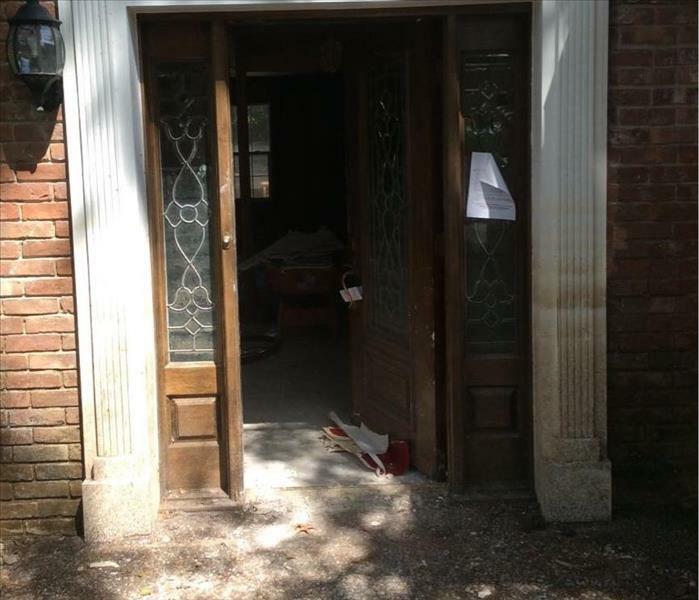 Notice the flood line on the white trim to the entrance of the home. This is a photo of an Ozone treatment in an office. The ozone treatment helps eliminate odors that can be a nuisance. While this is going on you cannot enter the room. The customer was extremely satisfied with the results. This is a photo of SERVPRO cleaning pipes at a commercial facility. 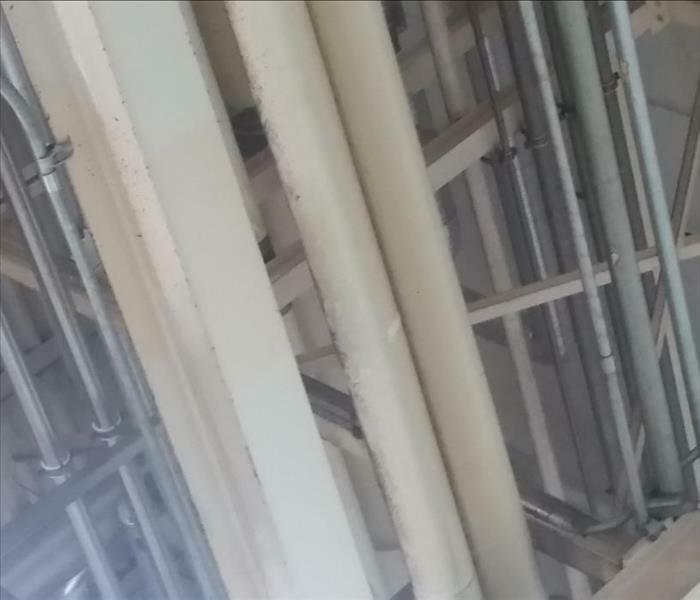 These pipes were about 30 feet off of the ground and between 30-60 feet long. The customer was very satisfied with our work. 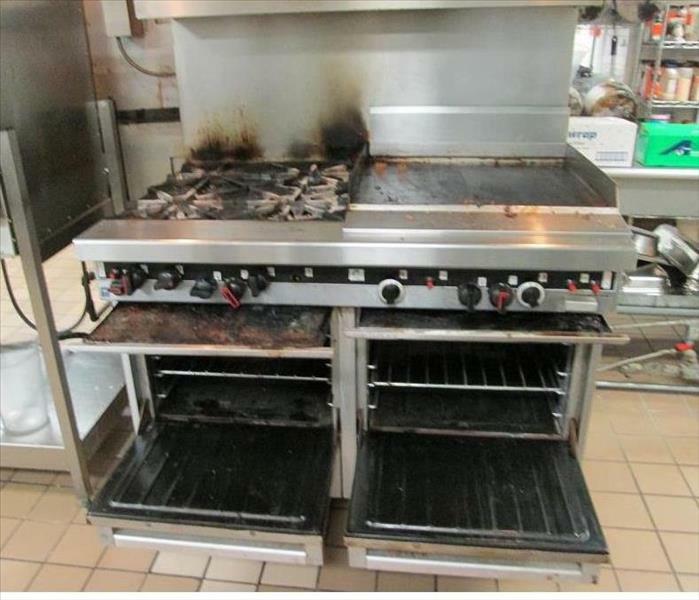 Grease Fire in Kitchen shut down hospital Kitchen at dinner, SERVPRO of Winter Haven responded cleaned up the damage, open for business for breakfast next morning. SERVPRO of Winter Haven is a Florida State licensed Certified Building Contractor, Mold Remediator, and Mold Assessor. We are IICRC (Institute of Inspection Cleaning and Restoration Certification) certified in Fire/Water/Mold clean-up & restoration. Call us at 863-551-5004, we are always here to help. 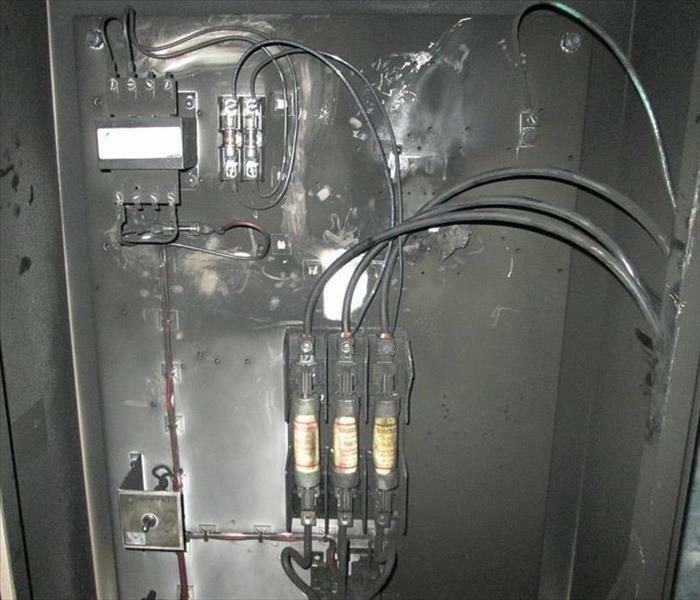 An electric motor caused smoke damage to surgical suite in Central Florida. 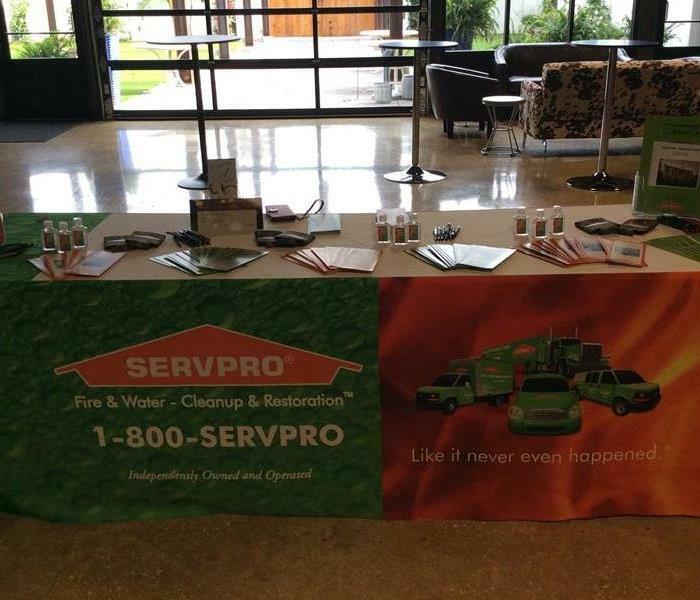 SERVPRO of Winter Haven was able to respond and get them back in business within 48 hrs. 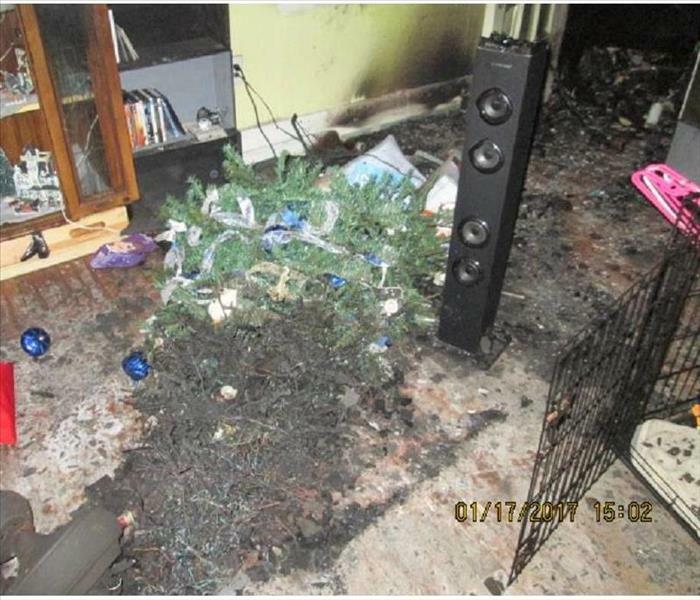 In this Florida home Christmas Tree caught on fire, always turn off tree lights when you the house or go to bed.